Much to Mom’s dismay, we don’t have a newspaper subscription. We haven’t in years. In fact, I don’t think we’ve had one during our marriage. Between the internet and National Public Radio (Cleveland local affiliate WCPN! ), we’re covered. Mom is still learning the former, so she relies on the latter (as well as chatter from fellow gym mates at the Silver Sneakers classes) to hear about upcoming events of interest. And so one day in late April, Mom announced she heard on the radio that there was an upcoming ballet performance at Playhouse Square. 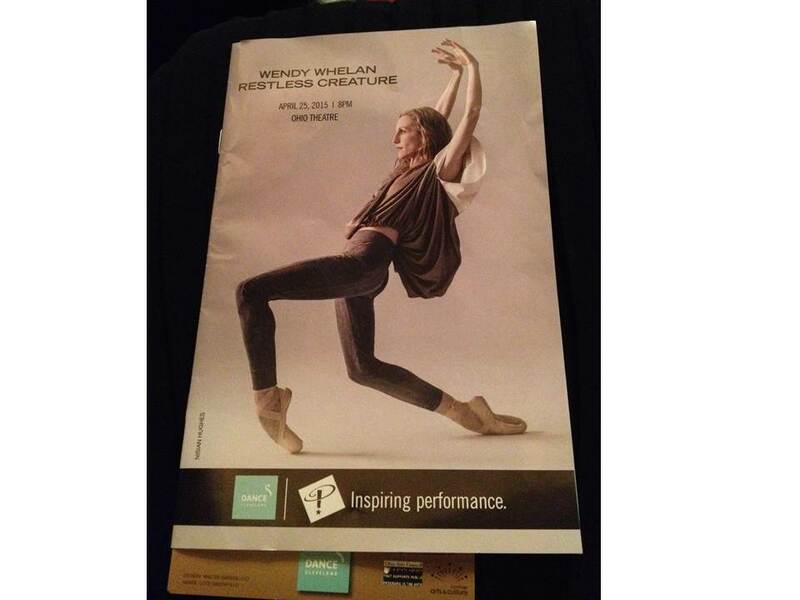 A quick internet search on my part revealed that Wendy Whelan and crew were dancing Restless Creature (Figure 1). After a quick read of Wendy Whelan’s CV, we were out the door with two tickets to see the show! Figure 1. Playbill from Restless Creature. Wendy Whelan was principal dancer of the New York City Ballet between 1991 and 2014. During her decades-long career, she became known as one of the world’s leading dancers with more than 50 ballets as part of her repertoire and several awards and accolades. Wendy Whelan retired from the New York City Ballet in the fall of 2014, and she now performs solo projects. Restless Creature is one such solo project that originally premiered in 2013. In the modern piece, Wendy dances with four male choreographers (Kyle Abraham, Josh Beamish, Brian Brooks, and Alejandro Cerrudo) as duets. Like the Ashley Bouder Project we saw some six months earlier, the music was pre-recorded rather than live with an orchestra or small ensemble. I never saw Wendy Whelan dance when she was with the New York City ballet, and I can see that I probably missed something special. Even in this modern dance project, I can appreciate the shapes she is able to make with her body that are unique compared with other ballet dancers I have seen perform. Oh, and her arms! I can imagine that Swan Lake with her in the lead was absolutely stunning. Overall, Mom and I enjoyed the performance of Restless Creature. It was interesting to see how Wendy Whelan adapted to each partner for the duet, all of whom had different styles and lines. 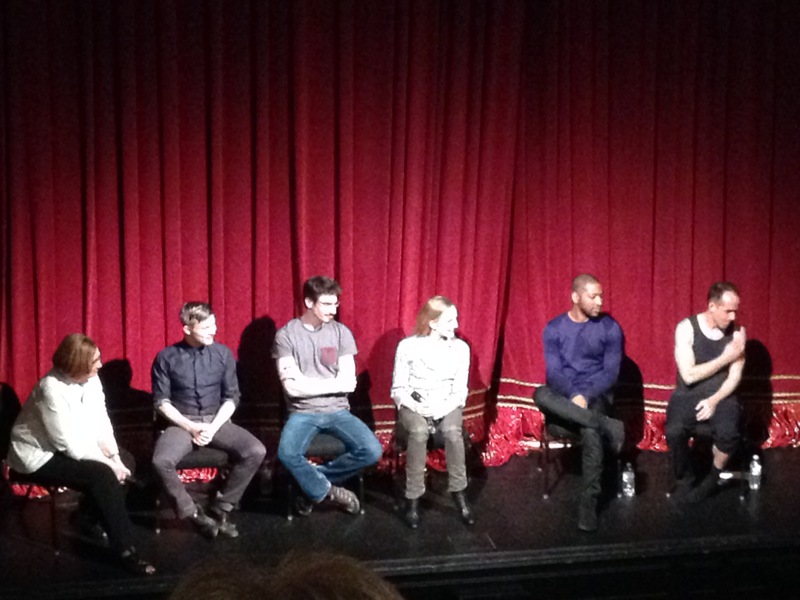 After the performance, the dancers came out for a short, informal Q&A session with interested audience members (Figure 2). Unfortunately, the performance was far from sold out here in Cleveland, and I overheard some express disappointment with the choice of music (a lot of monotonous cello). But, in writing this post I noticed that the performances are sold-out in other cities such as Chicago and the show is receiving good reviews. If you have a chance to see her in this or other performances, I highly recommend you do before she retires from dance altogether. Figure 2. A Q&A with the Restless Creature ensemble, moderated by DANCECleveland (far left). The Restless Creature performance in Cleveland, by the way, was brought to Playhouse Square by DANCECleveland. DANCECleveland was formed in 1956 as the Cleveland Modern Dance Association to bring modern dance performances and workshops to northeast Ohio. DANCECleveland is a dance-only presenter, one of the few remaining in the United States. This season’s lineup looks exciting, including a scheduled spring 2016 performance from the Alvin Ailey American Dance Theater. I am putting that performance on my calendar! Posted in Cleveland Calculus and tagged Dance.